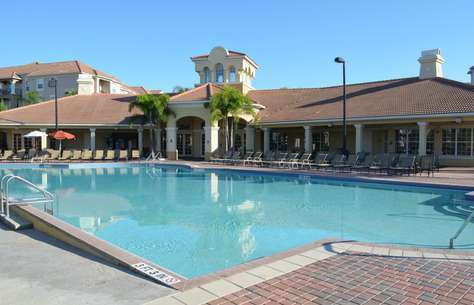 Brand new 3 bedroom / 2 bathroom condo in the best location in Orlando! I have stayed at this unit several times and everything is fantastic every time. I wouldn't hesitate to rent from them again! Driving in the dark to an unfamiliar location couldn’t have been easier. The owners left specific electrical key information and phone numbers in advance of our arrival. Even walking into the home I was happy it was clean but what put me at ease was a welcome card with my name on it and a basket of goodies. The location was perfect to highways and to the grocery store and restaurants. There were even beach toys and towels to use. I would absolutely rent from them again. The beds were very comfortable. The soap supplies plentiful and it even had washer and a clothes dryer ... with detergent! The grounds were very welcoming with a great club house and pool area. It was the best place for our family to stay. I can’t wait to go again! We had a great time staying here. We stayed for a business trip and it was a great place. We would definitely stay again. Quite complex with easy access to interstate. Close to all the parks. Unit was super nice and clean. Nice to not have to check in and out. Gated community. Nothing negative at all. Look forward to returning and making new memories. The condo was very clean and had what we needed for a very comfortable stay! Just 15 minutes from the airport and a short half mile walk to the convention center made this a perfect pick for us. 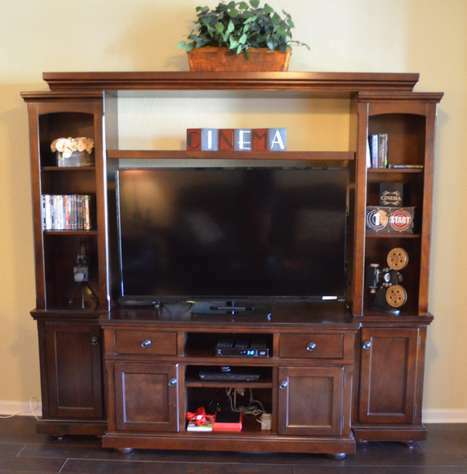 The unit was clean, well decorated, very comfortable and reasonably priced. The management company operates very professionally and they helped make our arrival and departure very easy to understand. This unit slept our group of four easily and was much better than two hotel rooms. Nearly as comfortable as being at home. We thought the condo was perfect for us. It allowed us to be near the parks and attractions without traveling to far. The grocery store, restaurants and pool were close enough to walk to or just a quick drive. The condo was clean and well furnished with everything we needed. Loved the patio just to enjoy the weather. Our family had enough room to be comfortable together or escape to our rooms. Would definitely go back and stay. The unit was clean and well-maintained. We were in Orlando for Walt Disney World so we were in a perfect location. Having Publix and Walgreens close by was another plus. We really enjoyed our stay!! We highly recommend this space to anyone traveling in the area. My family and I had a great stay at your condo! It had everything we needed and more. It was very clean and well maintained. We will be back again! Our experience was amazing. It was like we were home. The staff was super nice and the concierge was so helpful she helped us get tickets to Disney and Universal Studios. My boys loved the pool and all the games that were in our condo. Again we had an amazing experience will be coming back for sure. We really enjoyed our stay at Vista Cay. The place was perfect for the 6 people that stayed. It was spacious and had just enough room for all of us. The online pictures looked really nice but when we got there it was even better! 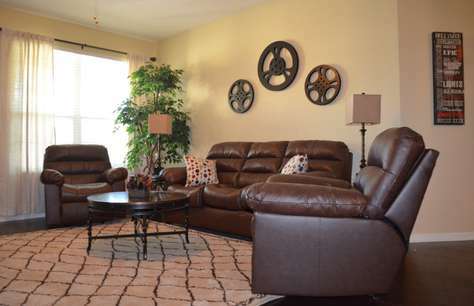 It is a very well decorated condo with comfortable furniture and lots of room for a family of six. It is convenient to everything, especially Universal Studios. What we liked; the patio for coffee and relaxing, the pool(and the bar at the pool) for the down days,the amenities such as bath towels, pool towels, large comfortable rocker/ recliners after a full day at the parks, comfortable beds, a welcome basket and many other things that made the stay so easy and enjoyable. We were down here for work and it was great to stay in this condo with our team. The amenities were outstanding and the process was easy. Definitely would stay here again. The place was amazing... There were a few minor things but it would feel like nit picking because it really was a great place to stay... Would stay again in a heart beat.. Would recommend it to anyone. This is my second trip here - it is a great location for convention center and not far from Disney & Universal. Very clean, comfy beds, and rental company is super easy and friendly to work with. The perfect place to hang out and relax after our long days at the OCCC - so much better than a hotel - cost, convenience, and comfort blew any hotel away. What a great place to stay for vacation! The property was large and well-appointed. The resort was quiet and well-maintained. We were close to attractions and necessities. It was a great place to come home to after a long day of thrill-seeking. Would highly recommend and would definitely stay here again. The property was exactly as described and more. Well maintained and clean. We had all the amenities we needed. It felt like home. We are very pleased with this property and would highly recommend it. Would definitely stay here again. Our family loved our relaxing stay at this condo. We have stayed many upscale condos in the past and this is by far the best. Very spacious for 2 teenagers, boy and girl. Plenty of accommodations from linens, toiletries, utensils, comfy furniture, bedding, games, books and cleanliness. We felt right at home. We had friend staying near by, when they came over they too were overly excited with the place! The convenience to amusement parks was a huge plus! 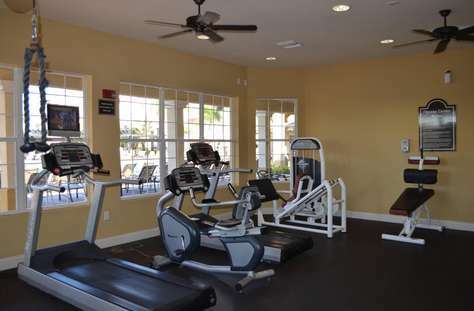 The resort itself offers many nice amenities as well, basketball court, pools (there are 2) bbq grill and a beautiful lake with a walking trail. This was a last minute find for us and I am so happy we found it! We have already recommended to friends and family and plan on using it again in the future! thanks again for a wonderful and relaxing stay ITZ! A group of friends and I enjoyed our stay last week!! The photos online can't capture what it is like to stay at this condo. It's beautiful! My family stayed in a hotel near by and came to visit and were blown away by how nice it was. Between the pool/hot tub and the Wii, my younger siblings were more than happy to come visit and spend their vacation at the condo. It was very convenient and cost efficient to catch an Uber to any restaurant or Theme Park because the condo is in a great location. I am so thankful that I found this place. I will definitely spread the word and visit again myself! We have just left from a great week at this wonderful condo! Often pictures are misleading but we found our accommodations to be much better than what we expected. We were there with family including children and we were very comfortable. We will definitely return and refer our friends. The online staff was great to work with as well! Look forward to our next visit! 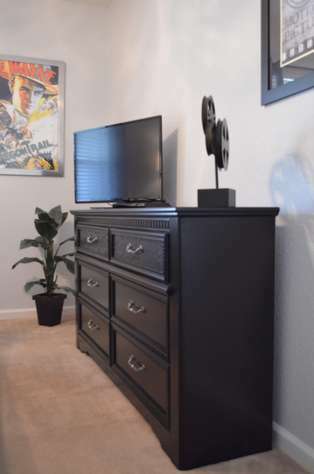 Beautifully decorated, clean condo with easy access to Disney and Universal was perfect for our family of four adults. Beds were comfortable and the kitchen, living room and laundry were well equipped. The property company was very responsive and easy to work with. Plus we arrived to a nice snack package. We would definitely stay here again. We just returned from our vacation with our daughter and grandson. This condo was so beautiful, very clean and great location. After playing golf, going to all the attractions, returning there at night was a welcome comfort. Thank you Ana for the wonderful gift baskets, we certainly enjoyed them. The condo had everything we needed. We will certainly recommend to our friends and family and hope to be back in the near future!! The pictures look nice - but it is much better in person! There is plenty of room, very easy to access, the beds are extremely comfortable. The location is great, it within a short walk to Orange County Convention Center, as well as all attractions are with-in a short drive. There are great places nearby for dining, as well as a grocery store. The pool area was perfect as well! The welcome gift basket, and extra paper towels, toilet paper, trash bags and laundry detergent made us even feel more special. Not that you want to work - but in case you do, the wifi works great too! 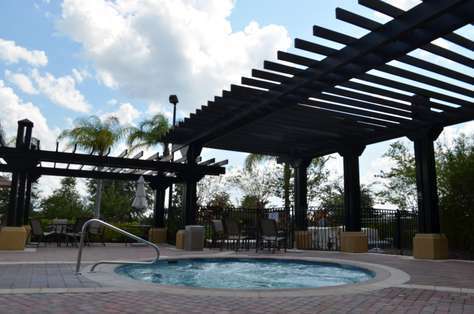 I would say that it is centrally located to everything in Orlando that you may want to do - so business or vacation - this is the spot to stay. The staff were also easy to work with booking/making changes and were available for any questions we needed. It was so easy not having to "check-in" upon arrival and just arriving to the condo. I was more than pleased with this condominium with it's spacious floor plan, beautiful decor, and comfortable furniture; soft, fluffy towels and the most comfortable beds I have ever slept on in a rental unit. It surpassed my expectations with a gift basket and welcome card making us feel at home. They also provided beach towels and some toys for the pool! The small, thoughtful things were a plus too, such as extra paper towels and toilet paper, salt and pepper, cooking spices, and extra trash bags. I would highly recommend this unit and this company - ITZ vacation properties. We stayed a week at this condo over spring break with my husband and I, two daughters (4 and 7) and our babysitter. There is plenty of room for everyone. The master suite is huge. We used the kitchen for breakfasts and some dinners (great NYPD pizza place nearby). It was very convenient driving to Disney but nice to be off Disney property. We used the pool a 2-3 days after the parks and the kids said it was the best part of the day (I guess we could have saved a few hundred bucks and just gone to the pool!) The pool is a little far from the condo (we drove) but very nice and the bar was open and got a great margarita from the nice friendly young bartender. Great place and rental a breeze! New to the VRBO concept. I chose rental with ITZ Vacation Properties based on the great reviews they have. Hollywood is just as the pictures show - very spacious, clean and nicely decorated. Stayed for a week and had all the comforts of home. Ana was very helpful and easy to work with. Spent most of our time at Disney so we did not use amenities at Vista Cay. I would stay here again and recommend to family and friends. The condo was very spacious and nicely decorated. 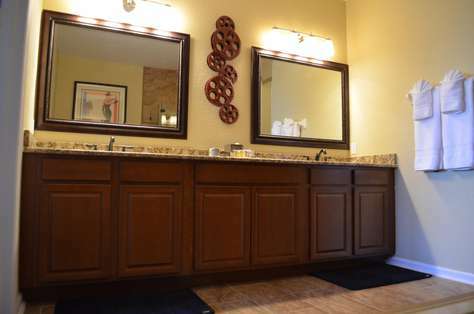 I'm very picky and found this condo to be very clean and felt very comfortable staying there. It was nicely stocked with dishes, utensils, towels, etc. We only had to shop for food. Very close to Universal Studios and Disney. Beaches anywhere from an hour to two hours away. Nice pool area. I would stay here again and recommend to friends. The home was just as it was described in the listing and from the moment we entered, we instantly fell in love. The condo was very spacious and felt like home. The owner even had refreshments waiting for us upon our arrival. In addition to the second bathroom, I really appreciated the washer and dryer which meant not having to travel home with dirty laundry. 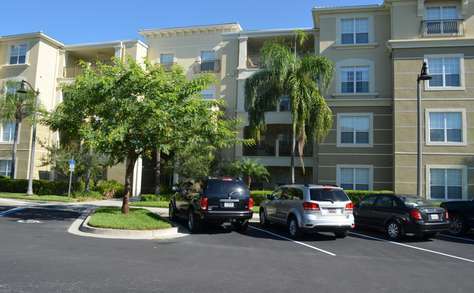 The condo's location was convenient to Universal Studios as well as other entertainment and shopping facilities. There was ample parking and the gated entry access added an additional level of security. Also, the owner was always available to answer any questions that arose. 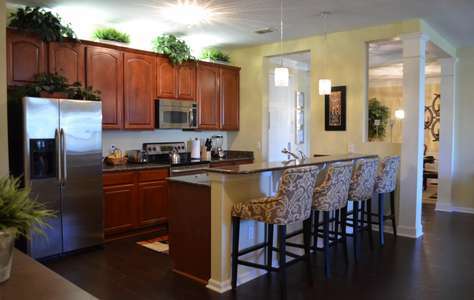 We were so impressed with the home that we have told all of our friends and family about it. Why stay in a hotel that is much more expensive and offers fewer amenities when you can stay at a condo that offers more and is a much better value. We travel to Florida at least once a year and we definitely look forward to staying again in the near future. Thank you again for the wonderful, relaxing stay. First of all I would Like to Thank Ms. Ana for our wonderful stay. She was very helpful with all information. The Condo was well maintain with all Cookware, Linens, towels high end. Cable was great with some many channels. TV in every room with cable. Had a playstation for entertainment for kids. The condo was very large for my in-law who to move around in her wheel chair. I recommend this condo to anyone who needs a nice place to stay at. All eateries was close by with Walgreens in Vista Cay. Publix near by. My family and I had a wonderful time. We went to Wet and Wild, Universal Orlando, and LEGOLAND. I give this Complex 5 Stars. Ana was very helpful with all our needs. I give Ana A++ . I will be staying again in the near future. From the moment we walked into the condo we felt right at home. The pictures on the website looked great but it was even better in person. It was exactly what we were looking for. When we walked in we found a note and goodie basket on the counter, along with bottled water, juice and soda in the fridge. It was such a pleasant surprise - especially since we arrived at 1145pm and were tired after a day of traveling. The unit was very clean, well maintained and the decorations were in fine taste. We did some cooking in, and found all that we needed in the well equipped kitchen. We were also thrilled to have "Publix", the grocery store, within walking distance. Our first day out exploring was a bit rainy, but since there were 2 umbrellas in the pantry for us to use, that was not a problem. 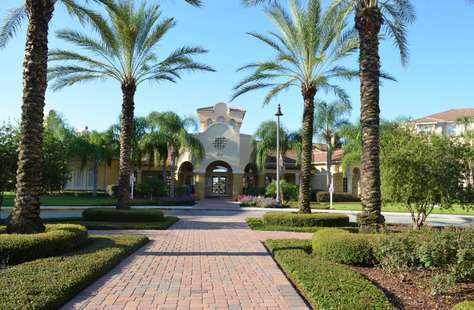 Vista Cay is a great location for so many things The Convention Center, Sea World, Disney World, and tons of restaurants on international drive. The list is really endless since it is such a central location. We would highly recommend this unit to anyone. There is nothing like having all the space and comforts of home when you are on vacation. So much nicer than a hotel room and priced right! Our children are in their early 20's, so in this 3 bedroom condo, we all had our own comfortable spaces when we were together and apart. Thank you again for offering such a lovely property for people to rent. It truly exceeded our expectations and if we should come to Orlando again, we would definitely consider this property or one of your others. I have a feeling we would be happy with any of your units. Oh yes, having a supply of books to read in the condo was also a nice surprise. You really did think of everything and because of this we really felt at home. Thank you!